Leadership – The cBEYONData team has been supporting federal, state, and local government agencies, as well as higher education and other regulated agencies for over 20 years. Customers – The cBEYONData team has been supporting federal, state, and local government agencies, as well as higher education and other regulated industries for over 20 years. Contract Vehicles – cBEYONData has been awarded multiple contracting vehicles and schedules, enabling us to provide our customers with fast, flexible channels to access the full range of our solutions. cBEYONData Featured on Clutch: Top IT Services Provider in DC! In today’s digital world, businesses need to understand their big data to reveal critical patterns about their consumers. At cBEYONData, our team of experienced consultants can help your businesses identify consumer trends that will give your team information on how to better cater to your consumers. Big data is important for any business to understand, small or large, which is why we are proud to announce our feature on Clutch’s top big data companies! In addition to our feature on Clutch, we were also mentioned on their sister-site The Manifest. This platform does not publish reviews like Clutch but posts business news and statistical reports about trending industries. We are so excited to be named among the top big data analytics companies in the world on The Manifest! Understanding big data is difficult now that the digital world has made it a buzzword, but easily explained big data is something that any company can use effectively. Clutch just launched a new site, Visual Objects, where development and IT services companies can display their portfolio which is beneficial to both consumers and providers. We are very happy to be partnering with Clutch because we appreciate their dedication to a transparent review process. We look forward to using our client reviews as feedback to grow and improve our processes through 2019.
cBEYONData Named One of the 2019 Best Places to Work in Washington, DC by Washington Business Journal! Nominated businesses meeting criteria for business location and size are invited to participate in employee engagement surveys distributed by Quantum Workplace. Based on the results of those surveys, businesses are assigned a score out of 100 percent and ranked by Quantum. The top-rated companies in four size categories — small, medium, large and extra-large — are honored by the Business Journal as Best Places to Work. Read more about the 2019 Best Places to Work on their website. We are excited to receive this nomination, as we believe that this showcases one of cBEYONData’s greatest strengths; our work environment. Here at cBEYONData, we believe that our employees are our most important and valuable asset. We believe that employees are more than “just an employee”; they are a person with life aspirations and career goals who has dedicated a large part of their lives to being part of the cBEYONData team. If this sounds like a work environment you’d like so join, we are always hiring for different positions! Head to our Careers section, to learn more, and apply! Clutch Recognizes cBEYONData as the 2019 Leading IT Service Provider in Washington, D.C.
We are excited to announce that Clutch (B2B Ratings and Reviews Platform), has recognized cBEYONData as a 2019 Industry Leader in Washington D.C.! cBEYONData is ranked #1 under the IT and Business Services division, and has a 5 star average rating on our Clutch profile, for work with Federal Agencies, Legislative Branch Agencies, Medical Device Companies, the Department of Justice and more! We are honored to receive this recognition, and will continue to provide the best work possible to our clients now, and in the future! 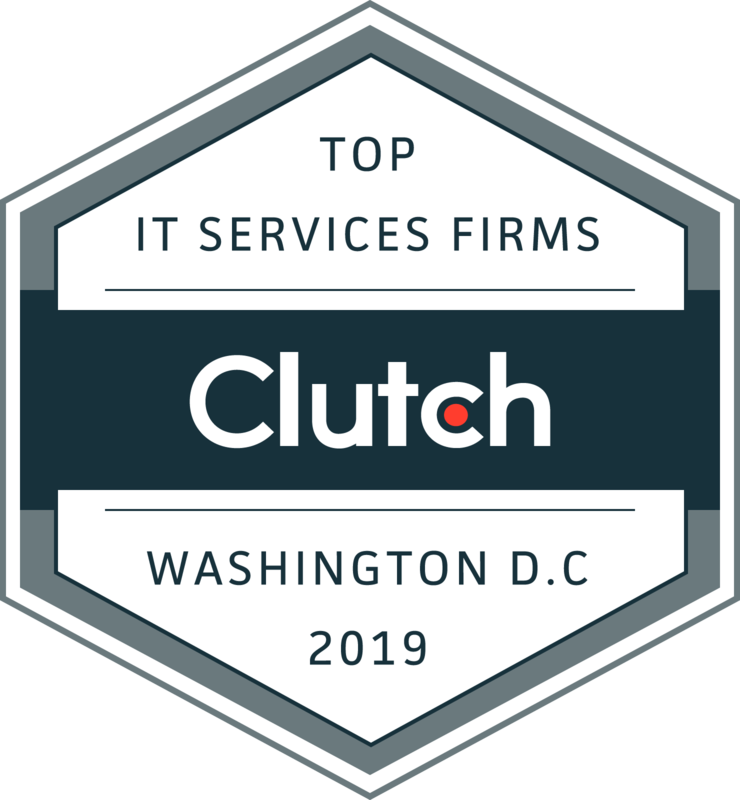 WASHINGTON, D.C., March 27, 2019 – Clutch, the leading B2B ratings and reviews company, released a list of the best B2B service providers in the Washington, D.C. and Baltimore metro areas today. The rankings fall within Clutch’s larger research on the East Coast’s marketing and technology industries. Clutch identifies leaders using a comprehensive research algorithm that incorporates companies’ market presence, services offered, client feedback, and work quality. For more information about this award, press release and the rankings, head to their site! 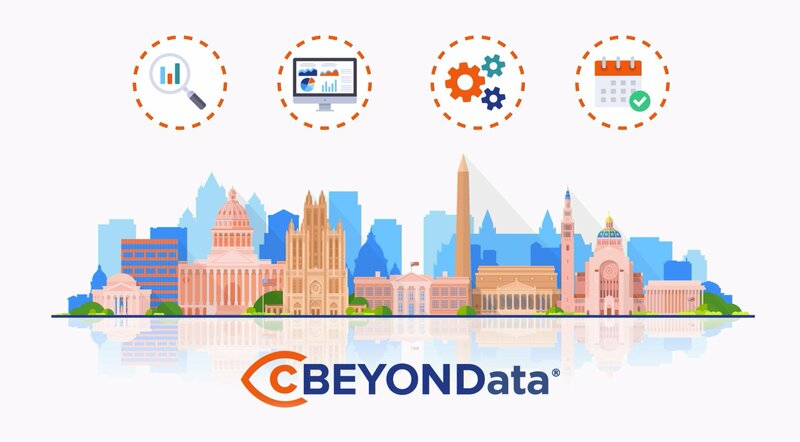 cBEYONData is a results-driven firm that provides value to government agencies and organizations through Business Intelligence (BI) solutions for the CFO’s Office and end-user missions. We ensure our customers’ analytical and reporting requirements are met through solutions such as financial reporting, audit readiness, DATA Act analytics & submission, procurement & external reporting, dashboards, analytics, visualizations, and geo-mapping. cBEYONData is committed to customer success, as demonstrated by our strong customer retention rates, references and awards. cBEYONData Attending Financial Systems Summit 2019! We are excited to announce that we will be attending the 2019 AGA (Association of Government Accountants) Financial Systems Summit! We will have a booth set up at the event, and will be available to talk with any and all attendees about our services, CFO Control Tower and more! We look forward to seeing you there. The Financial Systems Summit (FSS) unites government leaders and industry experts to discuss how to improve government services through systems modernization in a budget-constrained environment. Sessions will highlight CIO/CFO priorities, agile, shared services, cybersecurity and emerging technologies. To learn more about the 2019 Financial Systems Summit, register to attend, or inquire about sponsoring, head to their website. cBEYONData attending AGA 2019 National Leadership Training in Washington, DC! We are excited to announce that cBEYONData will be attending the Association of Government Accountants (AGA) 2019 National Leadership Training in Washington, DC! Our team will have a booth set up at the event, and will be available to talk with anyone attending about any of our services how they can benefit you. We look forward to hearing from the speakers Carl Cameron (former TV Journalist & Chief Political Correspondent) and Cheryl Cran (Author & Renowned Tech Workplace & Leadership Expert)! To attend, head to the AGA website and learn how you can attend either in person, or digitally! National Leadership Training (NLT) is the essential event for developing and training government financial professionals to excel as leaders in today’s competitive market. Don’t miss this opportunity to share best practices, find new solutions to challenges, network with peers and learn from the top financial management leaders and industry experts. This training offers up to 14 CPE hours. Can’t travel to Washington? NLT offers virtual attendance — from your home or office — so you don’t have to miss out on this important leadership training event. Virtual attendance also offers up to 14 CPE hours. Here we are again! This is our regular segment where we feature one of our employees, hear about their experience, and ask them questions about working at cBEYONData! This week we had the opportunity to hear from Cristina O’Neill, one of our amazing Consultants! She has been with us for nearly 2 years, with 7 years experience in the industry, and is a highly valued member of our team! What is your favorite part about working at cBEYONData? The small company feel and the people. What is the most interesting project that you have worked on? Implementing a full functioning financial system within a year. It was definitely a tall glass of water to fulfill, but provided several learning opportunities to build upon. What does cBEYONData offer that our competitors do not (or what makes cBEYONData unique)? It’s a close knit company with experienced and highly skilled consultants. Leadership greatly invests in their consultants along with their customers providing high quality service. What do you like to do in your “off work” time? Getting outside and stay fit. I love running, biking, paddle boarding, yoga, tennis, skiing, anything to get outside. I’m also a big on traveling to see the world and experience other cultures. Here at cBEYONData our philosophy is to nurture our culture and make it a top priority in the company, then our associates’ happiness, customer satisfaction, and long-term business partnerships will naturally flourish. Company culture is derived from its core values and our core values are meant to empower our associates so they enjoy the work they do and the environment they do it in. We know that when we enjoy what we do, we are in turn delivering exceptional service to our customers and thriving in our business. To make this happen, we hire and invest in associates that share our core values. Check out our new video about the CFO Control Tower, our scalable toolkit of on-demand solutions that enhances financial systems to ensure a financial data user can immediately, reliably, and accurately meet compliance requirements for internal and external reporting. cBEYONData Named Top BI & Big Data Consulting & BI Companies on Clutch! This month, the independent technology services research firm Clutch ranked us among the top data analytics companies. With 10 reviews, our average rating is a perfect 5.0. We are honored to join the ranks of the top BI and Big Data Consulting companies on clutch.co. We are excited to continue working hard in the business intelligence industry, to see more growth for our clients, and to helping them see beyond their data. Please check out our profile on Clutch to read full length reviews, and find a detailed list of our services here. Its that time again! This is our regular segment where we feature one of our employees, hear about their experience, and ask them questions about working at cBEYONData! This week we had the opportunity to hear from Jeremy Kuhlenbeck, a new team member, working as a Senior Consultant! He has worked in the Business Intelligence industry for 8 years, and is a great asset to our team! How long have you been with cBEYONData? Brand new! What is your favorite part about working at cBEYONData? Reconnecting with former coworkers from past jobs and knowing that I’m with a company that will partner with me as I continue to grow my skillset in the industry. What does cBEYONData offer that our competitors do not (or what makes cBEYONData unique)? cBEYONData maintains a family type atmosphere with a strong focus on the employees offering top notch benefits along with great training opportunities. Where do you think this industry is going in the near and far future and how is cBEYONData leading that charge? The industry is definitely leaning toward more data science and predictive analytics. Classes for these skillsets are popping up everywhere outside of traditional education paths, and the tools used for traditional BI are now including more automated predictive capabilities. What do you like to do in your “off work” time? Raise my girls (2 and 4)… bikes and scooters in the neighborhood cul-de-sac, morning dance and sing time on the tv… oh, and find a drink good coffee with my wife. Recently, Dorinda Schmidtknecht sat down with Carolyn M. Proctor of Washington Business Journal to talk about being a founder of a company in a male dominated industry. The article covers starting a company, challenges and many other interesting topics! Be sure to head to their website and read the rest of the article! Dorinda Schmidtknecht co-founded cBEYONData in 2010 with her husband, David. The Lorton company’s specialty is building analytical data systems for government agencies, though it also works with higher education and other regulated agencies. She previously helped lead portfolio and asset management at National Real Estate Advisors and was a senior manager at Cambridge Asset Advisors and Charles E. Smith Cos.
What did you want to be when you grew up? Interestingly it was a photographer. But in school, I was a natural with numbers and decided to go into a career in property and asset management, which was a field that has a heavy focus in finance — but not as an accountant, because it also allows you to utilize your business management skills as well. Photography is still a hobby of mine, and I prefer using a 35mm camera with its manual settings to a snap-and-shoot camera for serious picture-taking. When did you decide you wanted to start your own company? Dave, my husband and co-founder, has a master’s of science in finance, a bachelor’s in accounting with a minor in computer science, and is a CPA. Dave has been in the business intelligence/IT industry for 25-plus years, and when we talked about starting our own business in 2010, we decided this industry would be a great fit because of his career history and contacts in the federal space. We also saw a need. Many of the agencies have these incredible systems that collect pertinent data. However, the systems are not capable of producing the required compliance reports, dashboards and data analytics that enable the agencies’ CFOs to achieve their missions. We moved forward knowing that Dave could build the customer and employee base, and I could bring my managerial and finance skills to “run the office,” work the financial relationship with the bank, establish long-term and short-term goals and budgets, etc. What obstacles did you face along the way? The federal government is a difficult industry to break into as a prime contractor, especially without a facility clearance or GSA schedules for the company. The kicker there is that you cannot get a company facility clearance unless you are working on a government contract that requires a clearance. It also takes time to build a past performance history with the government so that when you bid on government contracts, you will actually have a chance to win. What is the best lesson you learned from a mentor? It’s better to take your time and look at an issue from all possible angles to mitigate the risks than to rush into a decision so that you can say “I’m done” — without realizing the fast decision could leave you exposed to failure in the long run. What advice would you give to a younger version of yourself? Invest in your 401(k) immediately when you start working! Biggest current challenge: It is taking the government longer to award contracts from the time it issues an RFP, anywhere from 12 to 24 months. This makes it next to impossible for a small business, or any business for that matter, to hire or retain the proposed key personnel required for that specific RFP. The other current challenge is the employment market in our industry in the D.C. area is going insane again. This is causing potential employees to ask for astronomical salaries that cannot be supported by the government contract rates. Also, we are seeing a very unethical turn of events because of this bull employment market. We have had candidates accept our offer in writing and not show up to the job, not call, basically go “radio silent” — only for us to find out through LinkedIn or other social media that the candidate had already started working for a new company at the time that they signed our offer letter. Biggest misconception about your industry: That government contractors “make a fortune” and that government contracts are easy to get. I’m here to tell you that as a small business, we put all of our resources into our employees and their benefits/compensation packages so that we can stay competitive with the large companies. We also have to remain competitive with our rates for the government, which does not leave much of a profit margin given the government’s cutbacks. Businessperson you most admire: Jeff Bezos – his vision for Amazon and especially Amazon Web Services has been outstanding. I admire him for his “quiet” success as a person and a company. Biggest pet peeve: People that don’t own up to their mistakes. We all make mistakes because we are human. It’s how you deal with the mistake that matters. What is one thing you can’t do without each day? My cold brew coffee with vanilla almond creamer. Favorite place outside of the office: In general, any great spa to unwind with a massage and facial. Otherwise, we love to go to Cancun in February to get away from the cold. And we would love to get back to Italy sometime. Favorite restaurant in the D.C. area: It’s a family-owned restaurant where everyone knows you by name. You feel welcome the minute you walk in, even if it’s your first visit: Ciao Osteria located in Centrewood Plaza in Centreville. cBEYONData is a purpose-built professional services company that specializes in supporting mission-driven agencies and organizations with the enhancement and automation of business processes, cloud migrations and enablement, business intelligence (BI), data management, data analytics, agile project and process management, dashboards, and geo-mapping. We bring rapid deployment of specific financial management reporting and compliance solutions to agencies and organization for the CFO Offices. We leverage these capabilities to improve our customer’s return on investment, enabling higher success with achieving our customer’s mission. View our latest GSA Schedules and additional purchasing vehicles utilized to procure cBEYONData services.